Does Your Child Have An Overbite? Malocclusions (bite problems) include overbites, underbites and crossbites. Jaw alignment disorders restrict proper chewing, talking, and swallowing. They can also cause teeth to shift around in the mouth. Florissant dentistry patients with bite problems are at a greater risk for tooth decay and periodontal disease because bite misalignment often makes it difficult to maintain proper oral hygiene. When the lower jaw is smaller than the upper jaw, it is called an overbite. When the situation is reversed, it is called an underbite. Crossbite occurs when the lower teeth and jaw are in the wrong position. Bite problems can cause headaches and TMJ pain. 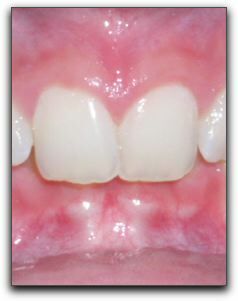 Some Maryland Heights dental patients with severe bite problems develop a distorted facial shape and damaged teeth. If you suspect your toddler or older child has a bite problem, it is important to see your St. Louis dentist as soon as possible. Bite issues and their various related problems usually get worse over time. At Koch Park Dental – Martin L. Buchheit, DDS, we diagnose and treat bite problems, referring patients to a specialist if necessary. In addition, we offer general and cosmetic dentistry. We can be reached at 314-837-7744. Our office is located at 2149 Charbonier Rd in Florissant. You can find out more about us at https://www.kochparkdental.net/. Most of our patients live in Florissant or nearby in Chesterfield or Maryland Heights. If you have recently moved into the St. Louis area and need a skilled general or cosmetic dentist, come visit our friendly team. We pamper every patient (especially our youngest patients) and make dental visits as comfortable as possible. You don’t know dental family until you’ve been here! Are You Getting Your Dose Of D?